Diagnosis and Evaluation of PCOS - What's New? Director, Patteds Fertility and Research centre. for Hospitals and Health care (NABH)- entry level standards. The centre has received Indywood Medical excellence award by Telangana Govt. Received AHPI award (Quality beyond accreditation ) at Kochi. Certificate course in Reproductive Medicine of RGUHS. Hon.Secretary Karnataka chapter of ISAR 2016-2018. Hon.Secretary General of KSOGA 2016-2018. Visiting professor of OBG, K.L.E’S University, Belgaum. Fellowship in perinatology from University of Illinois, Chicago, USA. 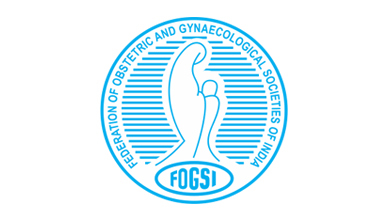 Fellow of Indian college of OBG, Past president BLOGS. Has several National and International publications. We generally encourage the use of, and fully support only, the latest version. You only require a working computer/laptop/mobile and a stable internet connection and good audio (internal or external speakers, earphones or headset). No. It is absolutely free of cost. I can't attend the live lecture. Will the lecture be repeated? Is there any way to watch it later? Yes, you can access the live lecture at a later date from your dashboard itself if you are enrolled for the same. Even if you haven’t enrolled for it, all live lectures hosted on DocMode.org are available for viewing under the Lectures section of the DocMode homepage. How do I ask a question during the live lectures? Will my question be answered during the presentation? There is a Question box just below the video player where you can submit any related questions at the time of the live lectures. Answering to the questions solely depends on the doctor/lecturer giving the lecture. Can I get a copy of the PowerPoint slides used in the live lectures? How can I get information on future live lectures? Information regarding any upcoming live lectures are put up on the site a week prior and can be found on our site’s homepage under Upcoming Lectures. Do I earn credit points for attending the live lectures/on-demand recording? As of now DocMode does not offer any credit points for watching the live lectures/on-demand recording. My organization is interested in supporting a live lecture/I have a suggestion for a live lecture. Who do I approach? If you have a suggestion for a live lecture, you can email us at partner@docmode.org with your contact details along with your or speaker’s updated bio and details regarding the lecture with topics you wish to be covered. Obstetricians and Neonatologist team work in improving Neonatal Outcomes.